Custom fabricated miniature shaft collars manufactured to specification from a wide range of materials, including special design features, are being introduced by Stafford Manufacturing Corp. of Wilmington, Massachusetts. Stafford Miniature Shaft Collars can be manufactured from a wide variety of materials in many different configurations with O.D.s as small as 0.500” and bore sizes from 0.062”. Made to specification, they can incorporate various mounting features including threaded bores and can be anodized, passivated, and finished to meet precise design requirements. Available in prototype through production quantities, Stafford Miniature Shaft Collars can be manufactured from alloy steels, stainless steels, aluminum, titanium, brass, copper, Hastelloy®, and other materials. 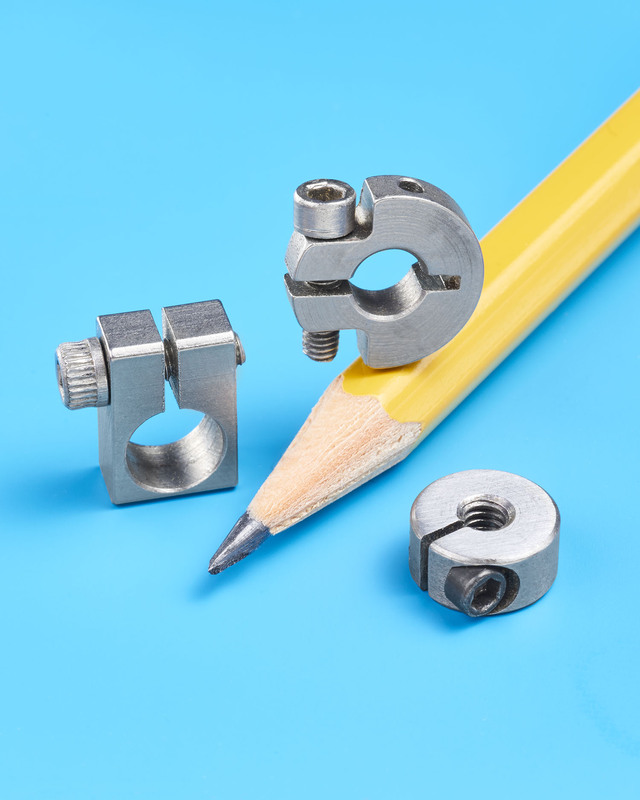 Appli-cations for these custom fabricated collars, clamps, spacers, and stops include mechanical breadboarding and parts in small instruments. Stafford Miniature Shaft Collars are priced according to material, configuration, and quantity. Price quotations are available upon request.